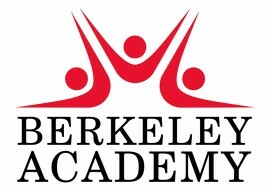 Berkeley Academy is an outstanding school (Ofsted 2014). We are situated on Cranford Lane (Heston) in the London Borough of Hounslow. The school caters for children between the ages of 3 and 11 and has places for 420 full time pupils and 52 part time places in the Nursery. In June 2015, Berkeley appeared in Her Majesty's Chief Inspector of Schools annual report and was cited as one of the most improved schools in London and across the whole country. The Chief Inspector praised the leadership of the school for bringing about remarkable transformation so that Berkeley is now one of the very best schools in the country. Berkeley is part of the Cranford Teaching School Alliance, an outstanding partnership for teacher training and staff development and a Teach First Partner School. At Berkeley, children benefit from dedicated and highly skilled staff, with high expectations of learning and achievement, well-resourced classrooms and an extensive outdoor environment which includes a large sports field and several playgrounds. Berkeley Academy provides extremely high quality education for all pupils. The school encourages a partnership between home and school to ensure that all pupils make outstanding progress and attain excellent results at the end of each Key Stage. All staff are aware of their responsibilities in relation to child protection. The school works closely with external professionals to safeguard the welfare of all its children. Governor’s work very closely with the Executive Headteacher and Senior Leadership Team in making decisions about the development of the school to ensure that academic progress remains the key priority at all times.